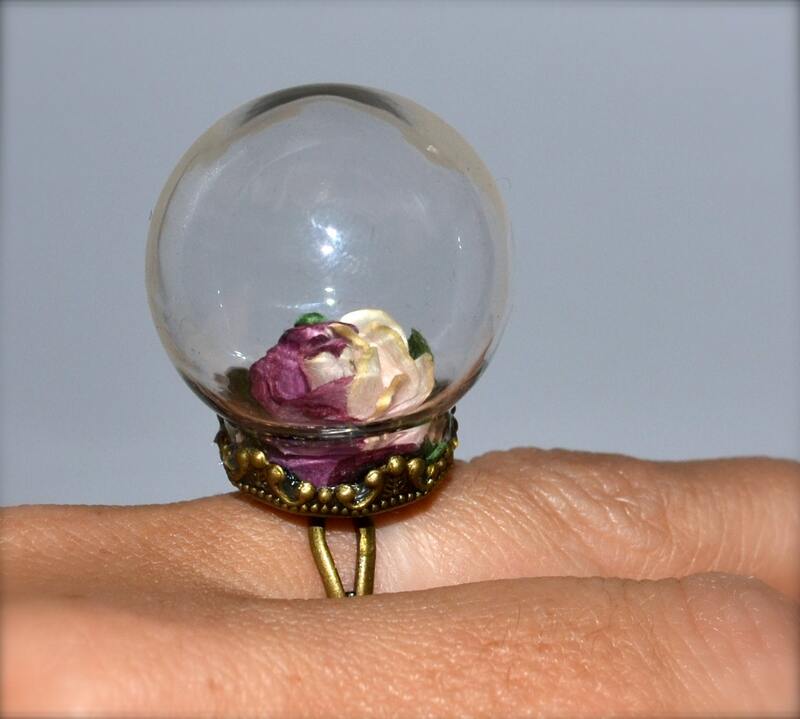 This glass globe ring has a pretty deep pink and cream paper rose, surrounded by a whole lot of nothing inside a large glass orb. 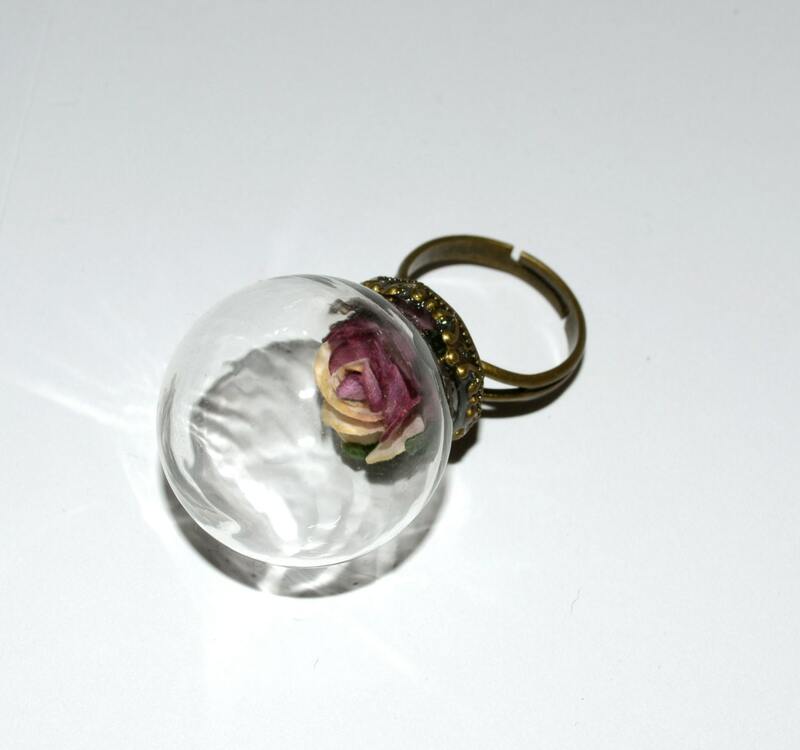 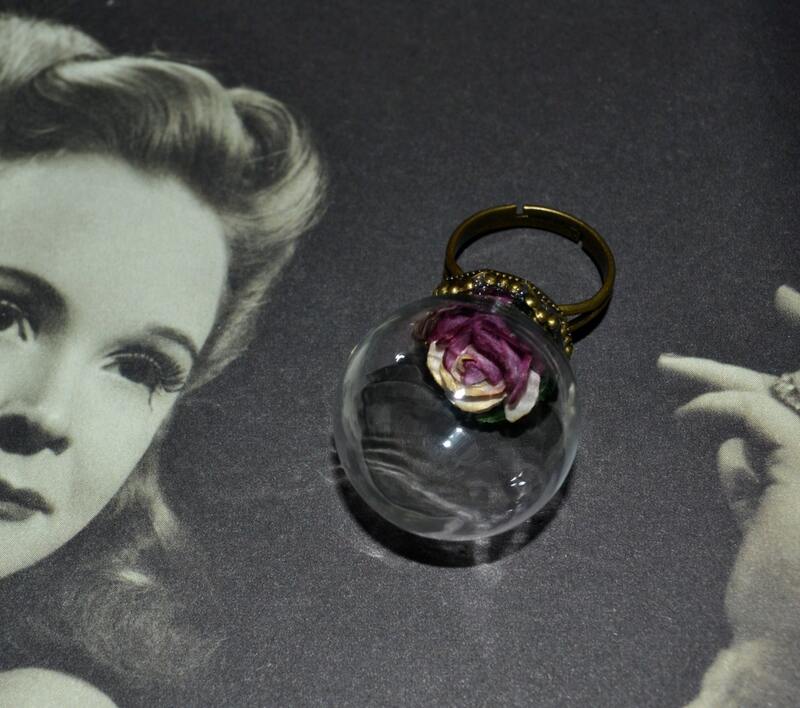 A cute little paper rose has been secured to a vintage style antique bronze coloured adjustable band with a filigree setting, and encased within a glass globe. 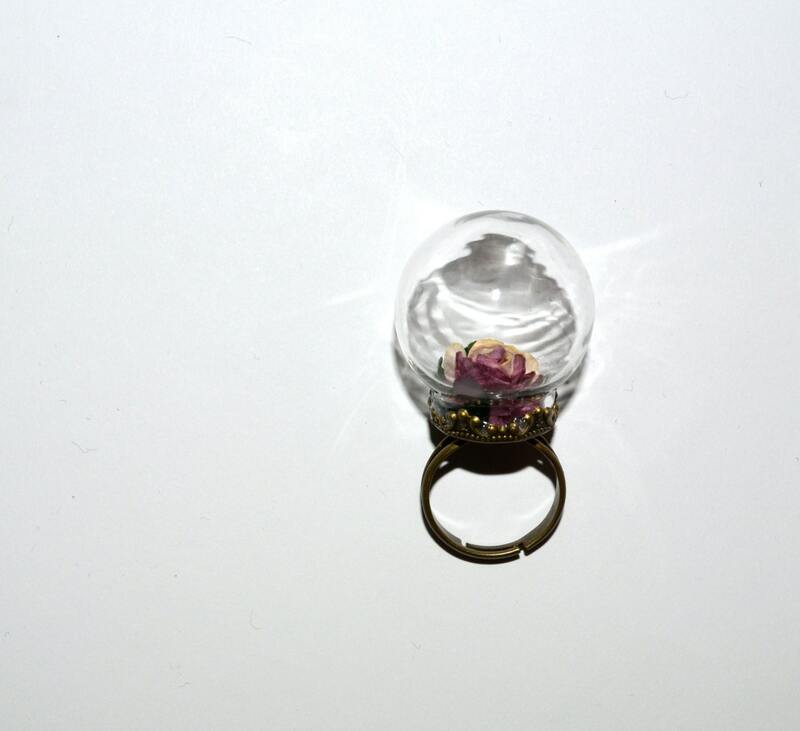 The globe measures around 1"/2.5cm diameter, and the ring setting is lightweight, comfortable, and adjustable to suit most finger sizes. 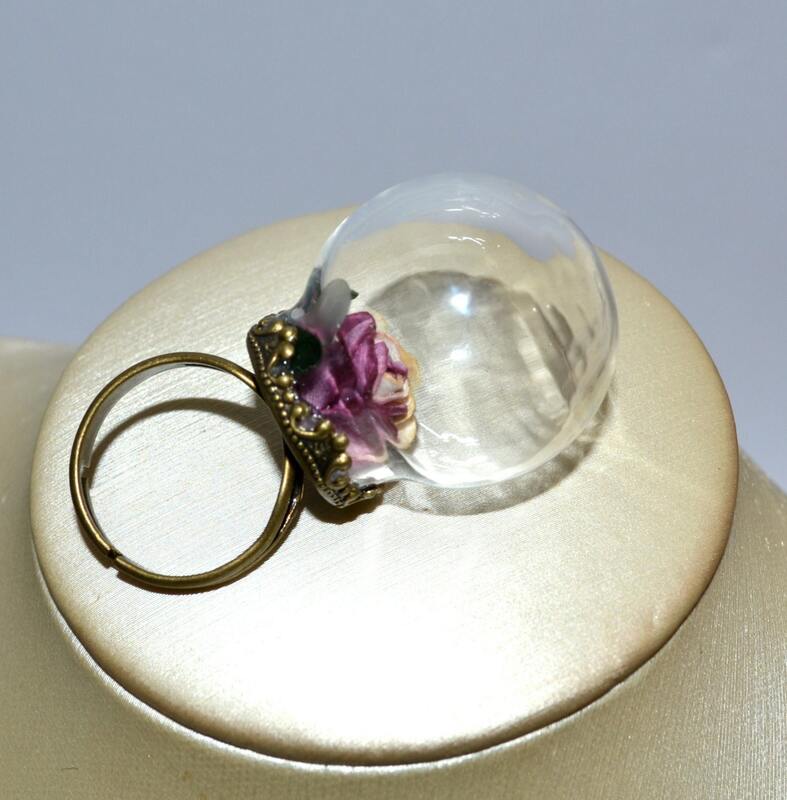 Ring will be gift boxed for gift-giving and padded for safe shipping.